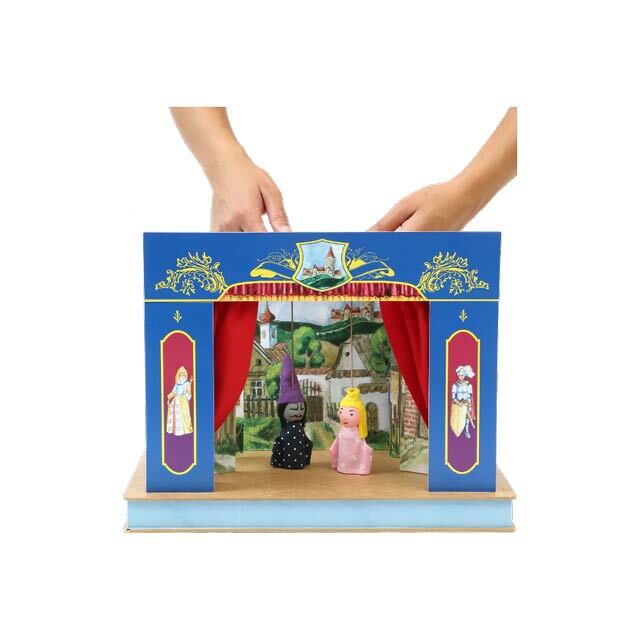 Home :: Puppets theatre :: Mini puppet theatre "Castle"
Our mini wooden puppet theater "Castle" with puppets by wood is the right toy to spend wonderful moments in playing puppet games, puppet theatre show. Most player in the puppet theatre show are children, but if the children start puppet show plays themselves, the game gets a new life because they live with the puppets. This promotes their imagination and creativity, expressive skills, but also the development of their fine motoring. 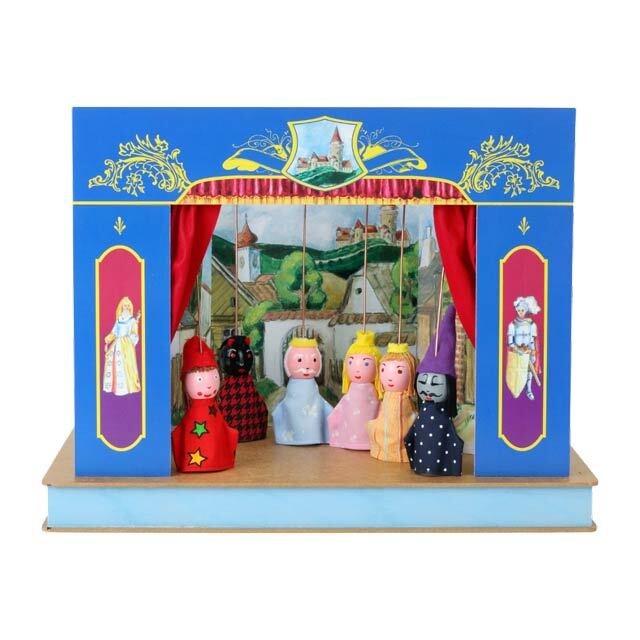 The theater set includes a puppets theater with four interchangeable scenes and 6 marionettes. 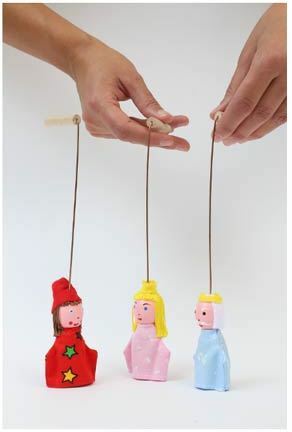 The puppets for kids are hand-painted and made entirely from wood, very strong and resistant to damage. The puppets theatre includes 6 puppets and a number of sets. The theater is complete and ready for performance. Czech marionettes puppets are set: King, Princess, Prince, Devil, Witch, Joker. 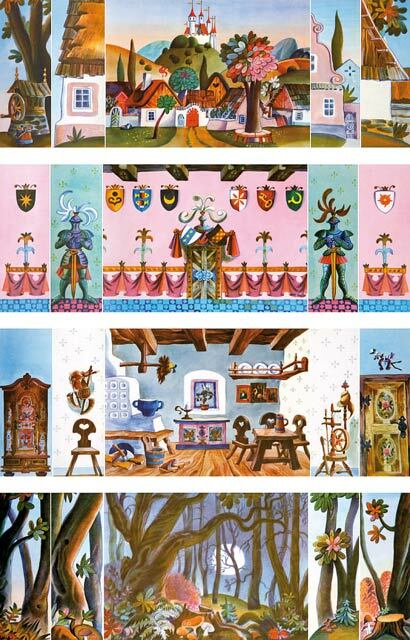 Scenes, kids puppet stage: fairytale forest, picturesque village, room, Knight's Hall. The theater measures is 16"x10"x12" (40 x 25 x 31 cm). Size of marionette is 4"-5" . 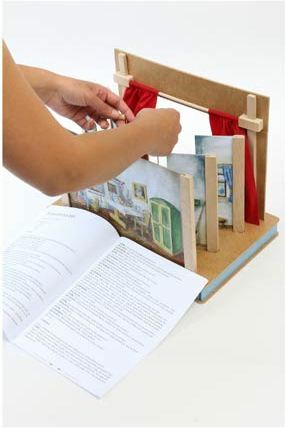 a home theater, puppet show for children or as a educational toy for a child.